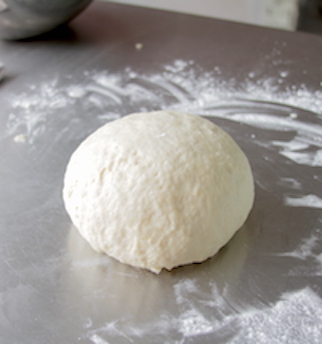 Pizza Dough-In a bowl with a stand mixer and dough hook, mix just until all ingredients are incorporated, about 1 minute. 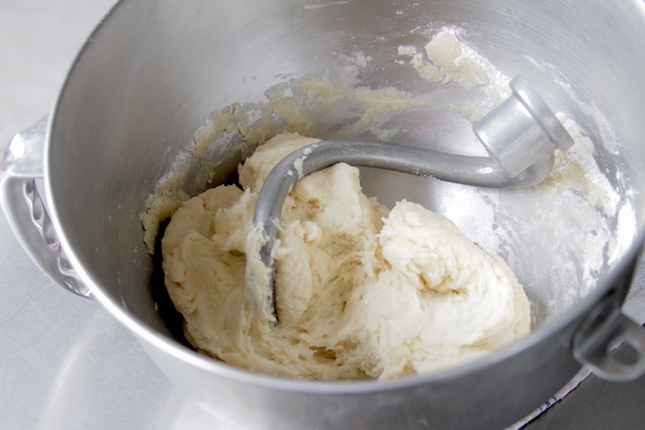 Transfer to a floured surface and knead by hand for 1 minute. 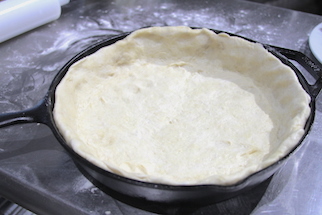 Place in an oiled bowl and let rise until doubled in size. Punch down. Form into a ball. Rest 15 minutes before rolling out. 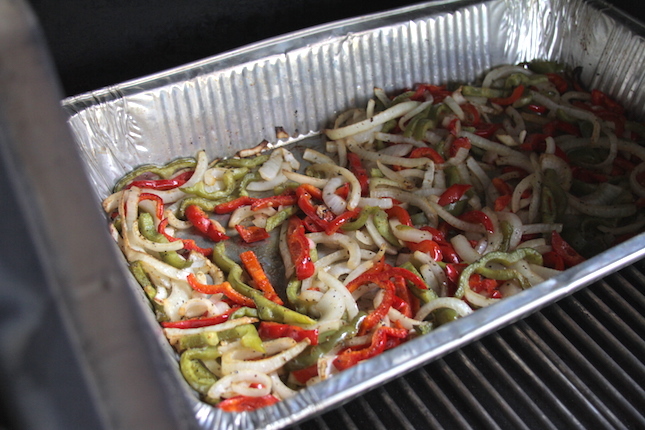 Preheat your Yoder Smokers YS640 to 400ºF. 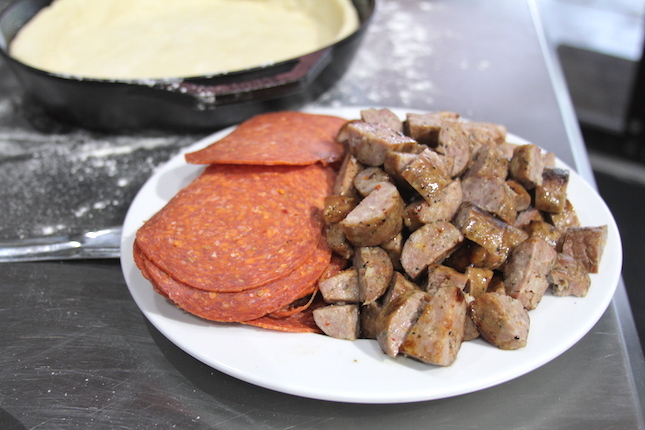 Combine the sliced bell pepper and onion in a foil pan and toss with olive oil and Cattleman’s Grill Italiano Seasoning. Place in the cooker and cook until just softened, tossing occasionally. While the veggies cook, make the sauce. Combine the tomatoes, garlic, salt and sugar in a bowl. Crush the tomatoes and mix ingredients by hand. 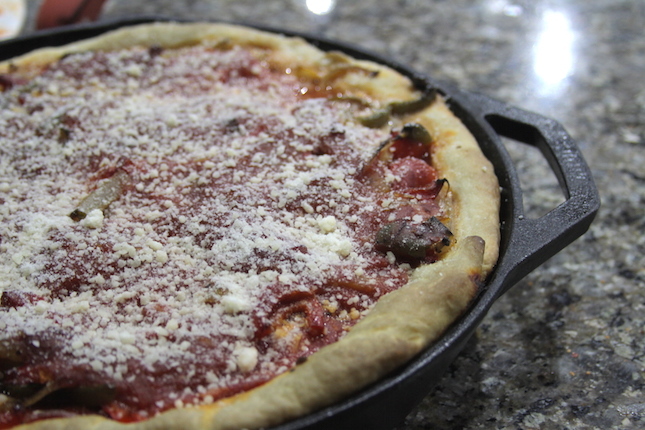 Assemble the pizza: Grease a Lodge Logic 12” Cast Iron Skillet with oil. 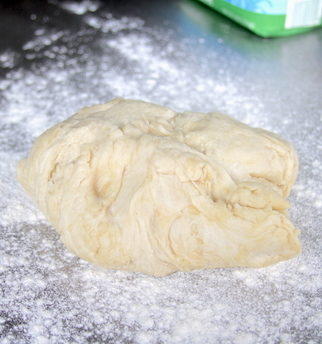 Roll the dough out on a floured surface. It should be big enough to cover the bottom of the skillet as well as the side walls. 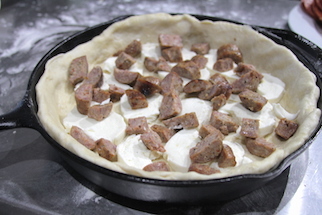 Lay out and press the dough into place in the pan. 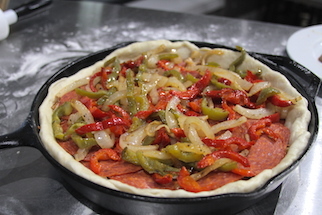 Place the mozzarella in the bottom. Top with the meats and veggies. 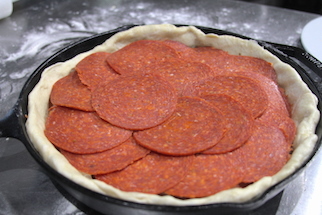 Top the ingredients with the tomato sauce. 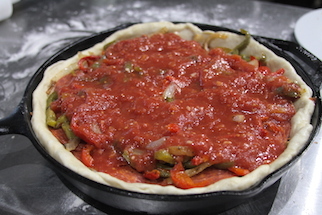 Place the skillet on the second shelf of the cooker and bake until the bottom is lightly browned, about 45 minutes. 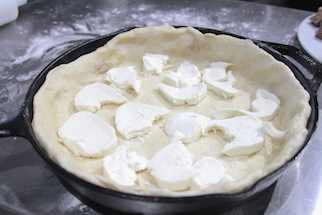 You can peek at the bottom of the dough by carefully prying a spatula under the crust and lifting just slightly. Remove skillet from the cooker. 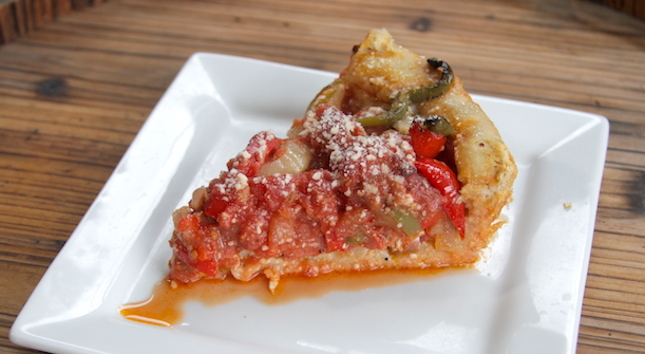 Slice and serve topped with grated parmesan cheese.